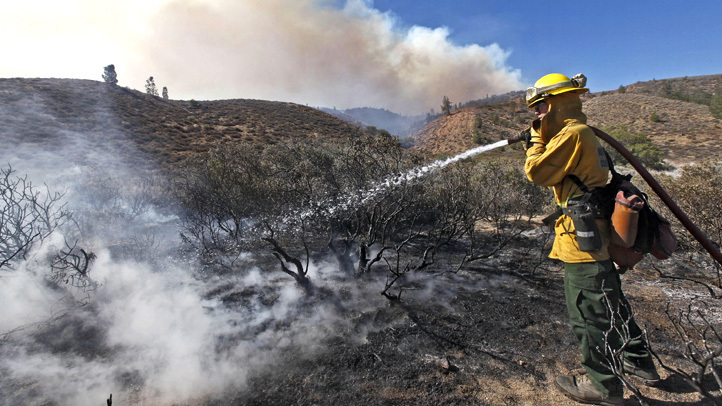 Cal Firefighters on Thursday had contained 85 percent of the Valley Fire, which has killed four people, injured four firefighters and scorched 76,067 acres of earth in southern Lake County. The fire, deemed California’s third worst in terms of urban structure damage, had also destroyed 1,910 structures by Thursday, Cal Fire reported. The fourth person reported dead was presumed to be Robert Taylor Fletcher, the Lake County Sheriff reported, whose body was found on Tuesday. Residents of Anderson Springs were being allowed back into their neighborhoods on Thursday at 5 p.m., though Cal Fire said water services are not yet working. Lake County’s Cobb was still under a mandatory evacuation. The Calistoga evacuation center officially closed Thursday morning, more than two weeks after evacuees were forced out of their homes. Evacuees said the friendships and bonds made at the evacuation center will not be going anywhere and the determination to rebuild could not be any stronger. Bob Coleman was one of the evacuees who boarded a charter bus Thursday to leave the Calistoga evacuation center and head to the Red Cross shelter in Middletown and other temporary homes. "I hope one day I could show them how grateful I am to them people because they were just a blessing," Coleman said of the volunteers at the Calistoga evacuation center. Just In - The #ValleyFire in Lake, Napa & Sonoma counties is now 76,067 acres & 85% contained. 2,900 firefighters still on the frontlines.